Join the Downtown Paso Robles Wineries for the first Winter Wine Stroll on January 17th from 3-7pm! This event is much like the Mid Summer Wine Stroll, but showcases the downtown’s beauty and charm at winter. Enjoy a special wine & pairing at each of the participating 14 tasting rooms. It’s a perfect way to enjoy a 3 day weekend! Tickets can be purchased at any tasting room. 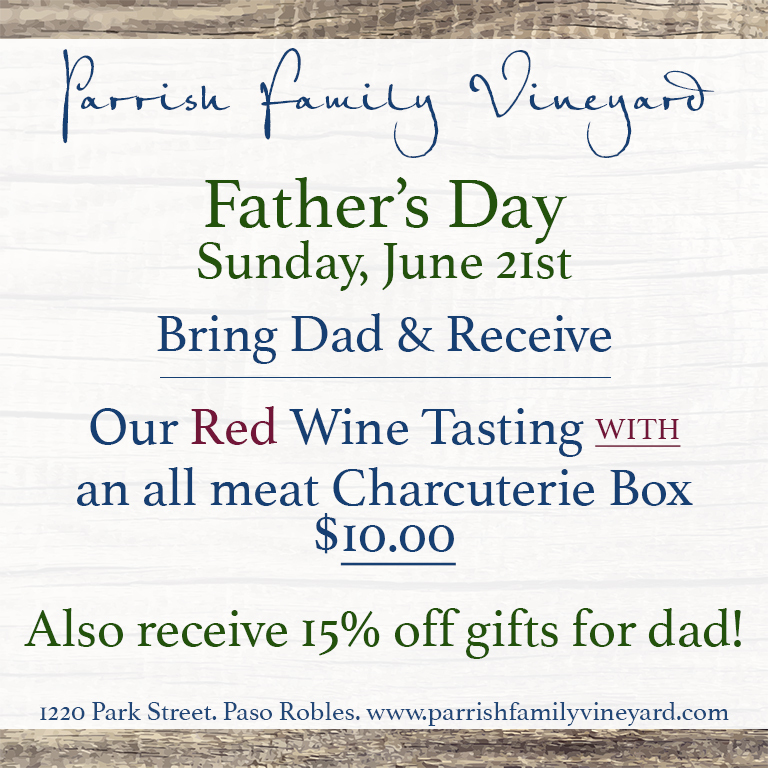 To purchase tickets with Parrish visit us at our tasting room at 1220 Park Street, or online at www.parrishfamilyvineyard.com! After you pay, we make your reservation and you will just have to check in with us on January 17th to start your stroll!